These two teams are no strangers to each other and their record stands at 18 wins apiece, so someone will take the edge on Thursday night when Group D starts with a bang in Moscow. This is exactly the sort of matchup that fans want to see in the Euroleague so make sure that you stay in touch with this one if you can. 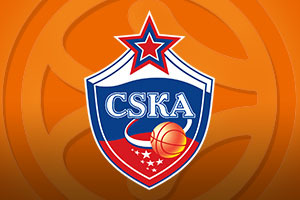 The Russian side could see Mikhail Kulagin, Dimitriy Kulagin, Viacheslav Kravtsov and Cory Higgins all make their Euroleague debuts but there will be plenty of big name and big game players for CSKA to turn to. Milos Teodosic has Marcus Brown in his sights and 10 three point shots will draw him level with the former CSKA player for 7th place in the Euroleague rankings. Teodosic starts the campaign with 317 triples in his career and he has clocked up 21 free throws in a row in the Euroleague. Nando De Colo is also coming into this game, and new season, with a fine scoring record. A number of players are expected to make their Euroleague debuts for the Israeli side with Yovel Zoosman, Dagan Yivzori, Arinze Onuaku, Trevor Mbakwe and Dragan Bender all tipped to make their European basketball top flight bow. When it comes to star players, Taylor Rochestie should be a key player for Maccabi and he picked up the 2015 Ford Trophy after picking up an average of 18.9 points per game in last season’s Euroleague. Rochestie will be looking to continue his great run of form which has seen him grab double figures in the last 21 Euroleague games he has appeared in. 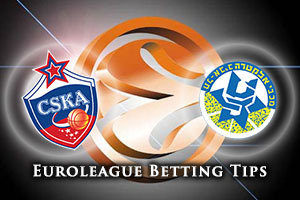 The bookmakers expect the Russian side to run away with this one and you can find CSKA Moscow at -9.5 at odds of 1.90. If you are more interested in the Over/Under market, look out for going UNDER 157.5 at odds of 1.90 in a game that could be packed full of action. Bet Now!